Tired of counting calories and buying diet foods? Want to lose weight the easy way? Then you must try the 5:2 Diet! This eating plan is based on intermittent fasting, but offers greater flexibility and convenience. Dieters are allowed to eat normally five days a week, and restrict calories on the other two days. There are no rules on which foods to eat, so you can easily adjust this diet to your needs. With the 5:2 diet, you can torch fat and still have that slice of pie you’ve been craving for days. The only rule is to stick to 500 calories for two days of your choice each week. Men are allowed up to 600 calories on fasting days. There’s no need to track your macros, weigh your food, or take weight loss supplements. This dietary plan focuses on overall health; fat loss is a just an added benefit. For best results, try not to exceed 2,000 calories per day. If you’re a guy, you can go up to 2,400 calories on non-fasting days. Most dieters report weight loss, lower cholesterol levels, and greater energy. Like other forms of intermittent fasting, the 5:2 diet balances hormone levels and supports cardiovascular health. In the long run, it may reduce your risk of stroke, diabetes, dementia, insulin resistance, metabolic syndrome, and Alzheimer’s disease. 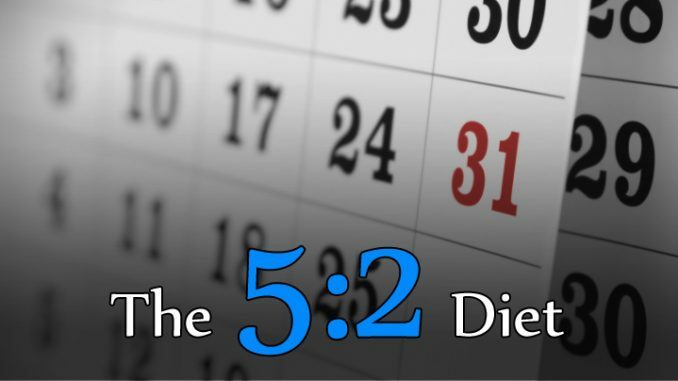 What can you eat on the 5:2 diet? 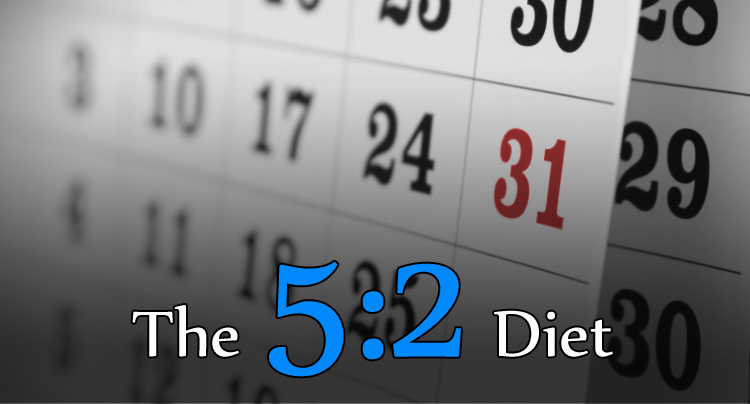 The 5:2 diet is appealing due to its flexibility. Dieters can try savory recipes, experiment in the kitchen, and enjoy their favorite foods. The key is to stick to your calorie goals and fast for two non-consecutive days. Some people end up fasting completely, but it’s their choice. With this eating plan, you can lose about one pound per week. No foods are off limits. Popular recipes on the 5:2 diet include miso soup, tuna salad, turkey burgers with corn-on-the-cob, boiled egg and veggies, spinach omelette, hummus, Greek yogurt and banana, grilled fish, and pesto salmon with kale. These meals are filling and low in calories, which makes them perfect for fasting days. Depending on your preferences, you eat once a day, or split your meals into three or more servings.